During this weekends Doctor Who Festival, Steven Moffat gave us a little more insight into just exactly why the 12th Doctor looks like not only Roman Caecilius, seen in 2008's Fires of Pompeii, but Torchwood's John Frobisher. According to the The Girl Who Waited, the Doctor chose the face of Caecilius to remind him that he should aways try to save people, no matter what the consequences, but we were still left wondering...what about his civil servant Frobrisher? "He said that it's about, as the Doctor says, asserting his right to save people. 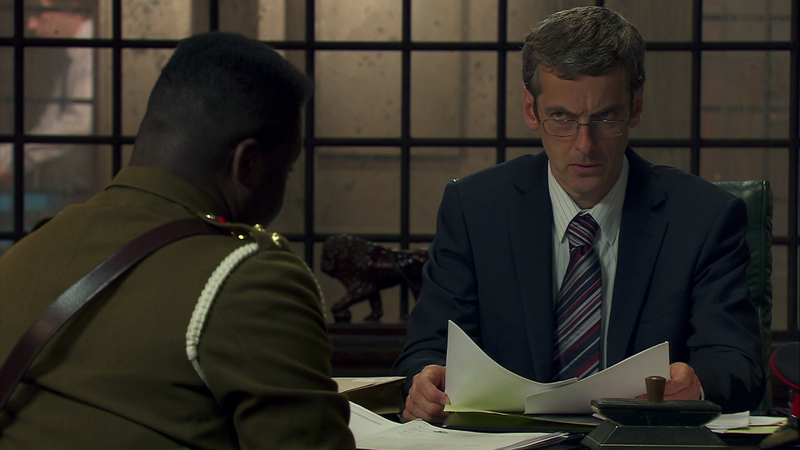 His plan was that in the Torchwood episode – which we couldn't really reference as it would have been difficult in that scene – is that the Doctor asserts himself over time by saving Capaldi's character in The Fires of Pompeii and time re-asserts itself by ending that bloodline in the Torchwood episode [when Frobisher is forced into suicide]. And the Doctor says, 'to hell with you time!' And takes that face and brings it back again. It's the Doctor's eternal battle with doom and destiny." "Remarkably there's a level of genetic throwback in that thousand years to make them identical!"